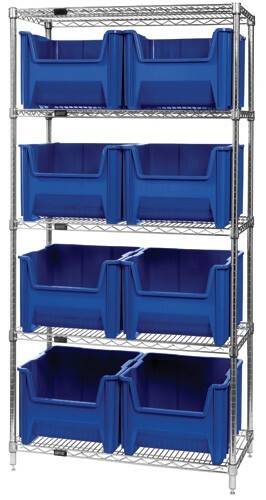 Organize, store and access your medium or large parts with this high capacity bin center. 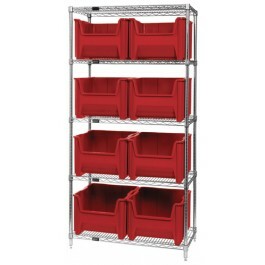 Chrome Wire Shelving offers 800 lb. 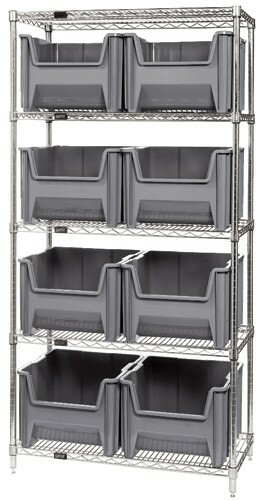 load capacity per shelf and over 21 cubic feet of storage space. Easy Assembly. Finish: Chrome. 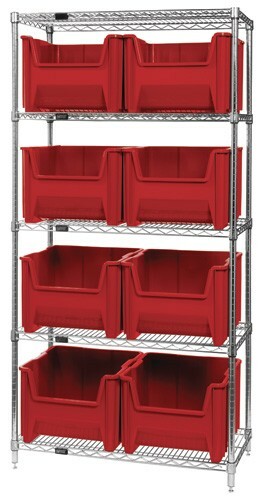 Plastic Stacking Containers included and available in Blue, Gray and Red.